http://cinziamazzamakeup.com/?x=vardenafil-20-mg-consegna-veloce For serious training, you want a serious training facility. 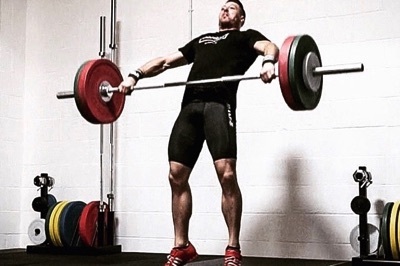 The Motus Strength/CrossFit Worlds End box, located conveniently between Fulham and Chelsea, is purpose-built to http://cinziamazzamakeup.com/?x=farmacia-viagra-generico-50-mg-a-Torino give you the best conditions for CrossFit classes and personal training, and has a large gym floor with a high ceiling. see The gym is equipped for all weathers, with heating, air-conditioning, and showers. http://cinziamazzamakeup.com/?x=cialis-generico-bonifico-bancario You won’t see the usual fixed weight machines here. Instead, we use our beautiful http://cinziamazzamakeup.com/?x=vardenafil-originale-consegna-rapida open space for all the training we offer: we have our dedicated CrossFit box for all thigns CrossFit, our cialis generico di alta qualità calisthenics rigs to do bodyweight exercises, and the dove acquistare viagra generico 50 mg a Bologna free weights to work on olympic lifting and strength and conditioning. get link The atmosphere is a siti sicuri per comprare viagra generico pagamento online a Parma fresh change from chain gyms as well, with men and women doing pullups, muscle ups, handstands, and other skilled moves. http://beneadsfiction.com/?search=tricor-similar-drugs-to-viagra&662=c2 Or get in touch using our contact form.